You may have noticed that not all HTTP Verbs are enabled by default. This is a short tutorial on how to enable them if your application requires it or restrict them for security purposes. 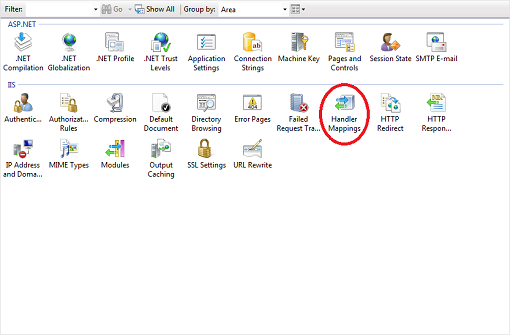 First, you’ll want to connect to your site with IIS7 Manager. 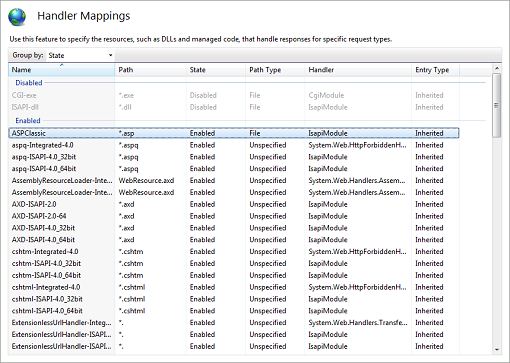 Double click the Handler Mappings module as shown above. This will bring up the Handler Mappings window. Next, double click the ISAPI extension you want the verb enabled for. This will bring up the Edit Script Map window. 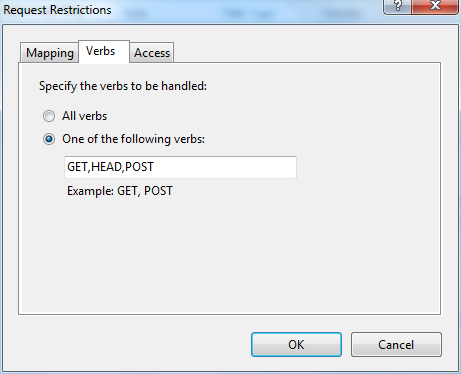 Click on the Request Restrictions… button to bring up the Request Restrictions window and select the Verbs tab. 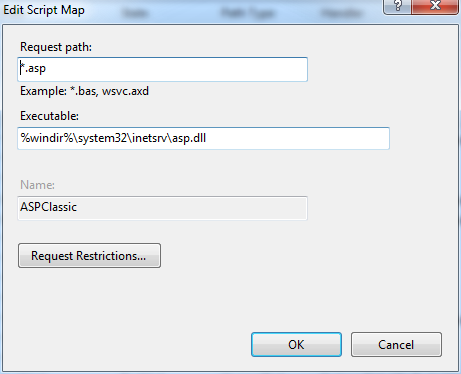 In this window, you will be able to define which HTTP Verbs you want to allow or restrict. Click OK, and you’re finished!